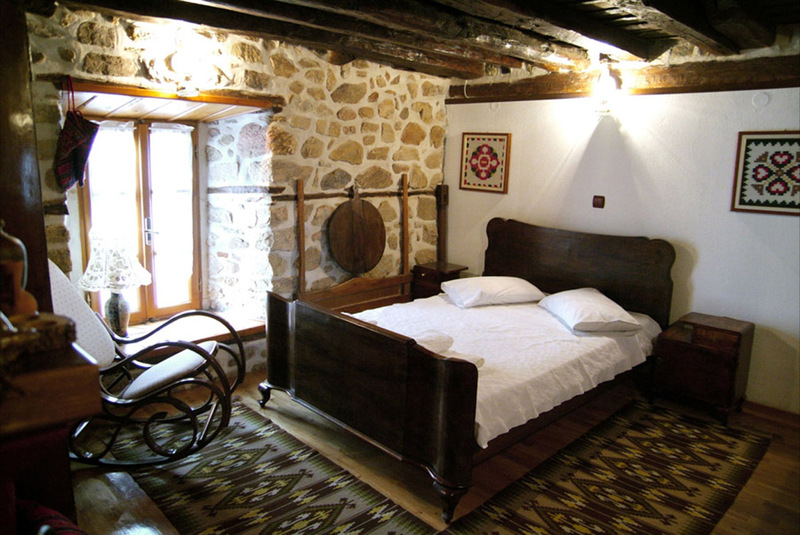 In the most central spot of Arnea, on the road leading from Thessaloniki to its central square, the traditional guesthouse “Turn of Nina” looks like it came out of a fairytale dream! Stone-built, with wooden elements on the doors and windows, the guesthouse has a lovely reception area, with decoration that reminds of the old, lavish mansions of Arnea. Traditional rooms, homemade breakfast, cleanliness, exemplary care from the owners will turn your vacation into an experience and a wonderful memory! Dreamy place, the “Arni”, it reveals the love of George Drekis, the manager, for the cared for, aristocratically simple and traditionally noble. His respect for your holidays defines his philosophy and his attitude towards the time you invest in the accommodation. Going down the main road and after the St. Stephen’s Cathedral, you will find yourself at the Constantadika, where the characteristic lilac color of Arnea meets the stone and the wood and the interior decoration reminds you of the old mansions of Arnea. Fireplaces, antiques, old objects that act as decorative elements, woven flocks give another dimension in the space during the winter, while cool summer nights will compensate Arnaia’s choice as a summer holiday destination. Trust the ARISTOTLE brand for your holidays in Arnea and enjoy them as nothing else!